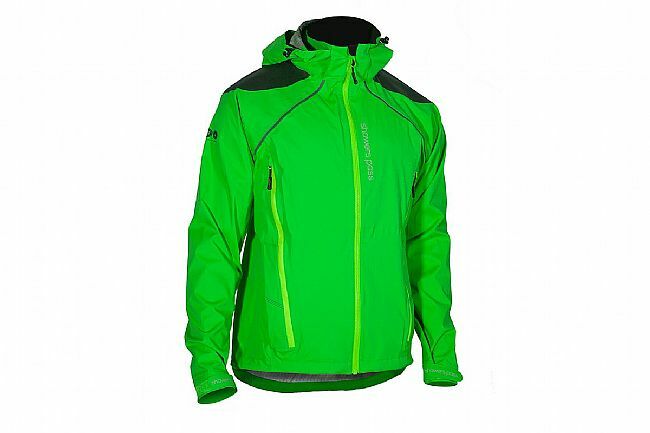 The Men’s IMBA Jacket from Showers Pass is a durable yet lightweight hardshell mountain biking jacket made from 2.5-layer Artex, a breathable yet waterproof fabric. The shoulders are reinforced to withstand backpack straps and tumbles on the trail. Fully taped seams protect against the elements while extra-long core vents help regulate internal moisture and temperature, ensuring dryness and preventing overheating. The hood is adjustable, removable, fits over a helmet and inside a pocket when not in use. The hem is adjustable as well via double toggle cinchers. The collar features a soft, absorbent lining that wicks moisture away from the skin. In terms of pockets, there is one at each hip and an interior pocket at the chest with a port for earphones. Waterproof with full seam taping. 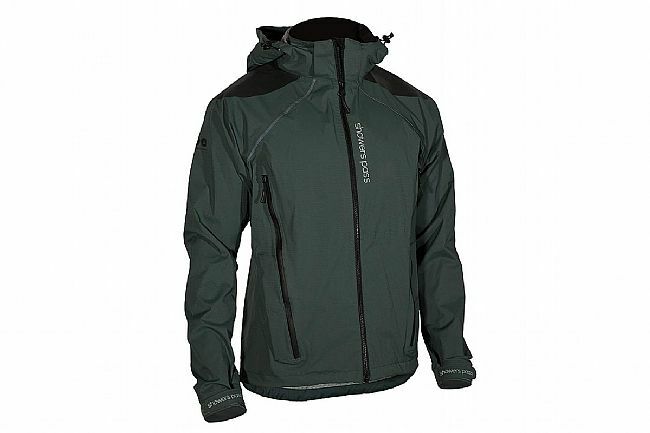 Thin, breathable 2.5-layer Artex construction. Removable, adjustable hood fits over helmet; stows inside pocket. Front hand pockets; interior chest pocket with audio port. Very Well Made raincoat, packable....which is why I bought it. Only con... I wish it had a drop tail. Im 61. 190 I bought an XL which fits perfectly.